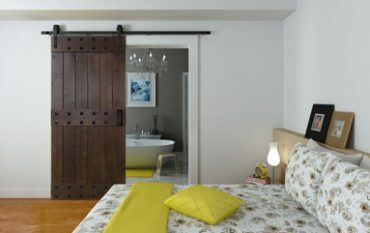 Barn doors are trendy right now – turn on almost any home makeover show and you’re likely to see one. But are they just a passing trend? It depends on what your home needs. If you want to shop for barn doors in metro New Orleans, Mandeville or Baton Rouge, don’t look any further. Visit our showroom in Metairie to see in stock barn doors, or shop online with us. And if you don’t see what you want, call us and we’ll find the perfect barn door for you! 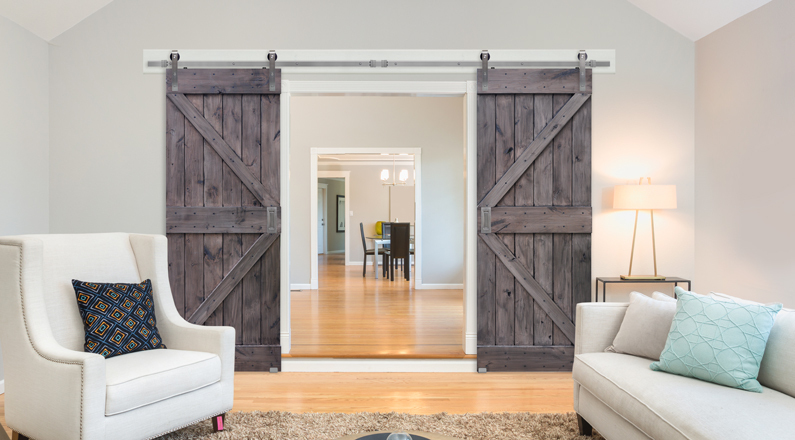 In small spaces, a barn door can be a great way to maximize the space you do have. 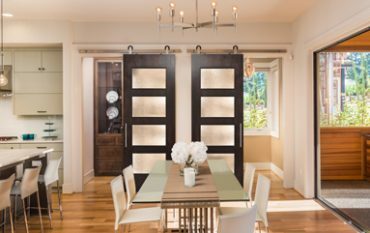 Since barn doors slide against the wall instead of swinging outwards, they can be an excellent alternative to pocket doors, especially in crowded areas like hallways. 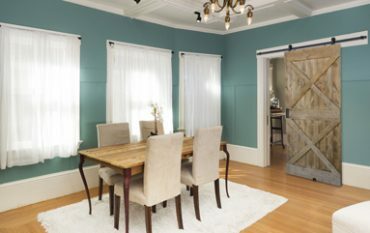 Barn doors also create a unique look. From rustic to industrial, sliding barn doors can fit into all styles of home. Choices of finish and hardware mean you can choose a customized look by mixing and matching with different woods, finishes, and shapes. 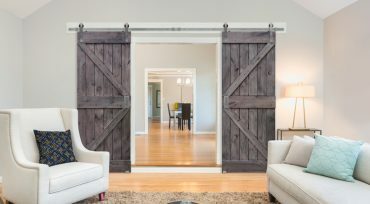 In fact, barn doors can be a dramatic accent to your decor. You don’t just have to tuck them away in hallways, visualize using them as an feature in rooms like living or dining rooms. Sliding doors also allow you to open or close a space easily, so you can create privacy or open up your space easily depending on your needs. 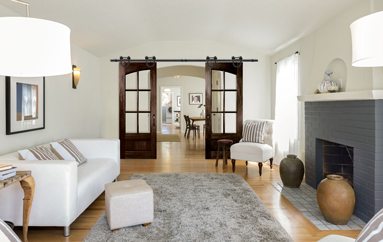 When open, barn doors can cover light switches or make it hard to hang artwork. Thinking of your barn door as an accent piece that you design around will alleviate this potential issue. Another problem some people have with barn doors is usually caused by inexperience; they can bang against the wall or not slide smoothly. That’s why we recommend expert guidance on choosing hardware that slides easily and safely, as well as elements like a stopper and a floor guide. With the recent popularity of barn doors, we’ve become experts of the ins and outs of selection and installation. Feel free to visit our showroom to see what we have in stock or look at catalogs, or call us and we’ll find the perfect barn door for you!